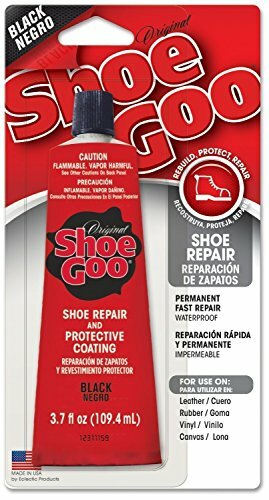 Shoe GOO is specially designed to repair, seal and stick to a wide variety of materials with superior strength. The unique formula contains is designed for strong abrasion resistance and better adhesion to flexible materials. It?s ideal for repairing worn soles, coating shoes to prevent premature wear and sealing galoshes, waders or rubber boots. Use on plastic, metal, leather, vinyl, rubber and canvas. If you have any questions about this product by Shoegoo, contact us by completing and submitting the form below. If you are looking for a specif part number, please include it with your message.